Eric currently works for Catapult Systems, a globally-focused Microsoft IT consulting firm that provides application development, enterprise solutions and infrastructure services. To learn more about Catapult and the services it provides, visit the company's website at http://www.catapultsystems.com. Eric was introduced to SharePoint near the end of 2006 and immediately took a personal interest in it. 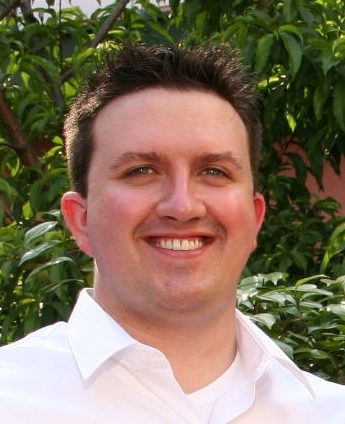 With a degree in Computer Science from Illinois State University focused on C++ development, Eric had the skill set that made the transition to C# for SharePoint 2007 development a breeze. Eric quickly became fluent in SharePoint and obtained his certifications. As we all know, with great power comes great responsibility. With his newfound knowledge and skills, Eric was presented with a unique opportunity to test his mettle as an instructor. Much to his own surprise, he did quite well and that led him to spend the better part of the last several years as an instructor and consultant in a wide variety of environments. His training experience ranges from introductory courses to advanced development courses. He has either worked for or contracted with clients such as the Chicago Park District, Equity Office Properties, Kraft Foods, Lake County of Illinois, Chicago Public Schools, Columbia College Chicago, and many more. With his strong interpersonal communication and presentation skills, as well as his strong work ethic and real-world experience, Eric is someone that you will enjoy working with and learning from.